Home Lifestyle Hacks for Living a Happy Life What is better Roomba or Eufy? Choosing Between Roomba and Eufy? Cleaning isn`t an easy but a very necessary process. Someone is willing to spend every day on it, and someone can barely find the strength for one cleaning per week. Regardless of your habits, there is one device that will make cleaning more comfortable – it`s a robot vacuum cleaner. There are a lot of brands producing robot vacuum cleaners that look almost the same and can give you the same cleaning results. So, sometimes it could be difficult to choose. Roomba and Eufy are one of such pairs. Let`s compare the quality of these robots, their ways of work and main characteristics that affect the final result. Whatever people say about the appearance and its role it`s still essential. Nicely looking things attract customers` attention, so it`s easier for producers to sell them. Moreover, a beautiful thing contributes to the interior and becomes something like a decoration of your dwelling. But speaking about the appearance, we shouldn`t mention only beauty. The whole design also depends on the materials and size. Here both companies Roomba and Eufy use high-quality materials and components, so your robot will serve you a long time without any bumper breakage caused by cheap plastic. It should also be noted that the dimensions of the vacuum cleaner robot are also essential since the maneuverability and the quality of cleaning directly depend on this. Both Roomba vacuum cleaners and Eufy vacuum cleaners are very compact and able to clean even the most difficult places. The Roomba 690 model is 3.6 inches high, which is quite enough for good passability. However, according to this characteristic, Eufy is superior to Roomba. So the 30c and 11s models are only 2.28 in height. The main advantage of vacuum robots is that they clean surfaces without any human participation. You just turn on the vacuum cleaner, and it does the rest of the work like detecting pollution, removing it and moving to the next zone. Therefore, a vacuum cleaner robot should have a good navigation system for high-quality work. Roomba 690 uses built-in sensors that help it navigate through the house. It`s a rather good technology, but the chance of bumping into the furniture, doors or walls still exists. Nevertheless, this model also has the cliff detect sensors that prevent the robot from falling down stairs and special dual mode virtual wall barrier with the help of which you can separate the zone where cleaning isn`t needed or desired now. Eufy 11s and 30c also use sensors in the bumper and underbelly to navigate with and drop-sensors for avoiding fallings. And magnetic boundary strips give you more control over where the vacuum goes. Suction power directly influences the quality of cleaning. A modern robot should be powerful enough to eliminate dirt, spots, hair and pet fur, and even allergens, leaving you a perfectly clean house. So, the more powerful a vacuum, the better the result. The 690 model gives us only 600 pa suction which is enough for the normal good cleaning. Eufy proposes almost a perfect result with its 1300 and 1500 pa suction for 11s and 30c, respectively. Although all three models have a so-called 3-stage cleaning system – the vacuums have three brushes on the edges that pick up and lift the dirt from the surface and then direct it right to the suction zone. Although there are still models that can replenish the charge from an ordinary outlet, modern robots are charged from special stations. The vacuum cleaner actively spends energy on navigation, movement, and cleaning. The charge is consumed when cleaner passes from one type of flooring to another (for example, if the robot moves from the parquet to a thick pile). When the charge level comes to an end, the vacuum cleaner stops and returns to the station. The recharging process is not as fast as we would like, that`s why autonomous cleaning is interrupted for a rather long period of time (about 5-6 hours). And it is quite logical that a good vacuum cleaner should be not only powerful but also energy efficient. Always pay attention to the runtime of the vacuum cleaner. 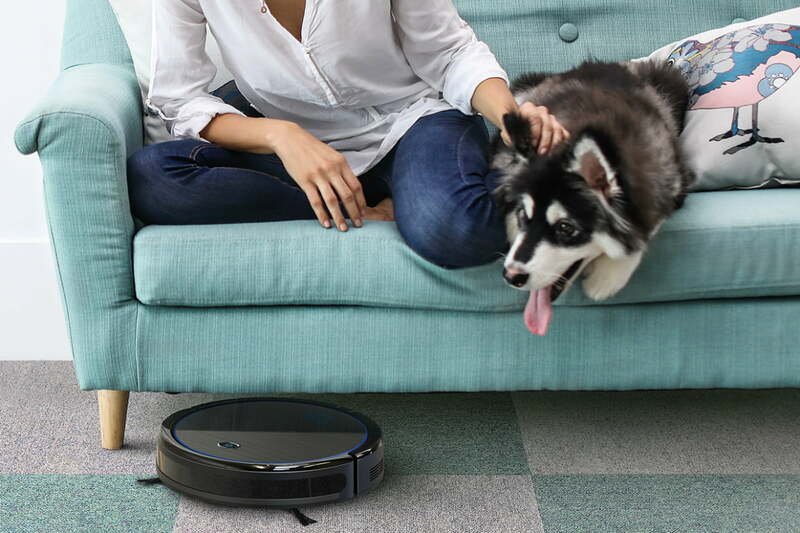 Roomba offers 90 minutes of work without docking and recharging. Eufy models give you ten minutes more, so the vacuum can run for up to 100 minutes. As we said above, the main advantage of the robot vacuum cleaners lies in their autonomy. They clean your apartment while you are busy with other household chores or are even out of the house. This rule applies to all models of vacuum cleaners and is achieved through the use of specialized applications. Rumba, Eufy, and other companies equip vacuum cleaners with Wi-Fi connection and develop applications that allow users to set the schedule and duration of cleaning, turn the gadget on and off, receive information about its location. The models considered by us in this article have not only the smartphone control function but also the voice control. Combine your cleaner with the Amazon Alexa or the Google Assistant devices and run it without hands. So, using the example of three robot models from two popular companies, we examined the main characteristics that worth paying attention to when choosing a vacuum cleaner robot. We`d like to note that there aren`t any significant differences between them, although we still want to give preference to Eufy devices. They are slightly smaller in size, more powerful and have greater runtime. All three vacuum cleaners are in the same price category (200-300 dollars), which is not expensive at all for this quality of cleaning. A vacuum cleaner really saves you time and effort and is worth every cent spent. Choose a vacuum cleaner wisely and enjoy the result.